Brown W. Cannon III fearlessly exposes his audience to landscapes, people and moments. Brown’s photographs create a visceral connection that draws us in, yet his presence behind the lens is quiet. The experience and encounters Brown has traveling are what define his images. Watching a thunderstorm roll in, horses in a vast landscape, the drop into a wave, a curtain of snow falling, the feeling of a Tarpon hitting the fly line. Brown explores his subjects with his camera in anticipation of the moments that best define an experience. For Brown, photography is a means to connect to the earth we walk on and to celebrate the people we often pass by without notice. Whether half way around the world or a mile from home he believes that there is a story to tell. Brown studied photography at the Art Center College of Design in Pasadena California and graduated with honors in the Fall of 1999. He was named one of the 30 under 30 photographers to watch by PDN. For over fifteen years Brown has had a career that has taken him across the globe shooting adventure, travel, and lifestyle photography for editorial magazines and companies. His work can be found regularly in many of the worlds top publications including Travel & Leisure, Conde Nast, Men’s Journal, Outside, Audubon, Sunset, and Geo Saison. 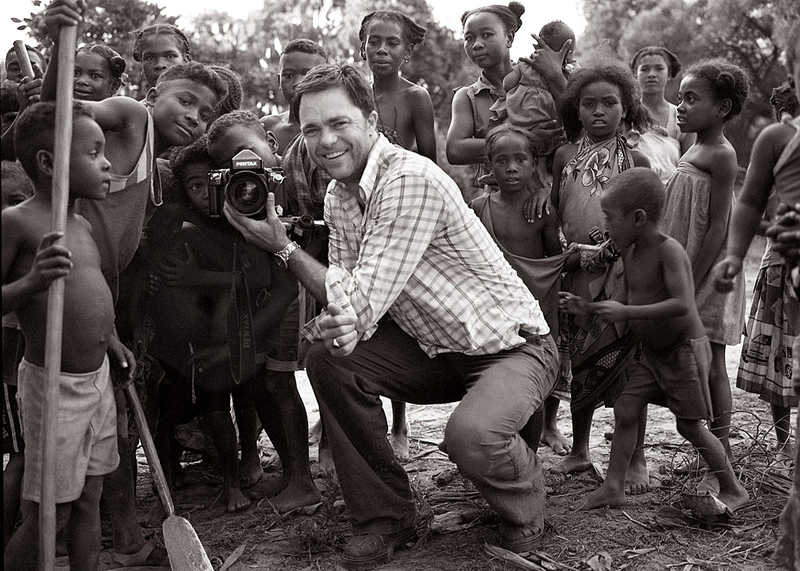 His photography has earned him the Lowell Thomas awards for best editorial travel features in 2006, 2007, 2010, 2012. His first solo exhibition was in 2003 at the Focus Gallery in San Francisco. Since then he has shown regularly including his most recent show at the Cavallo Point Art Gallery in Sausalito California in 2013 and with Whisper Editions in NYC, 2014. A recent collaboraton with his sister K.C. Lockrem has pushed both of their work into a new realm. Images of horses, schools of fish and flamingos are adorned in layers of fabric, gold flake and magazine clipping which offer an outcome that even surprises them.